...bringing people together through Shakespeare to share their humanity and build community. We work to strengthen the already vibrant artistic and educational landscape of Greater New Haven, through world-class productions coupled with rigorous and joyous education programs that enrich our diverse community. We value inclusivity, artistic excellence and the power of these plays in our lives. We believe in the power of Shakespeare’s stories and language in the lives of New Haven’s youth, especially when told by the youth themselves. 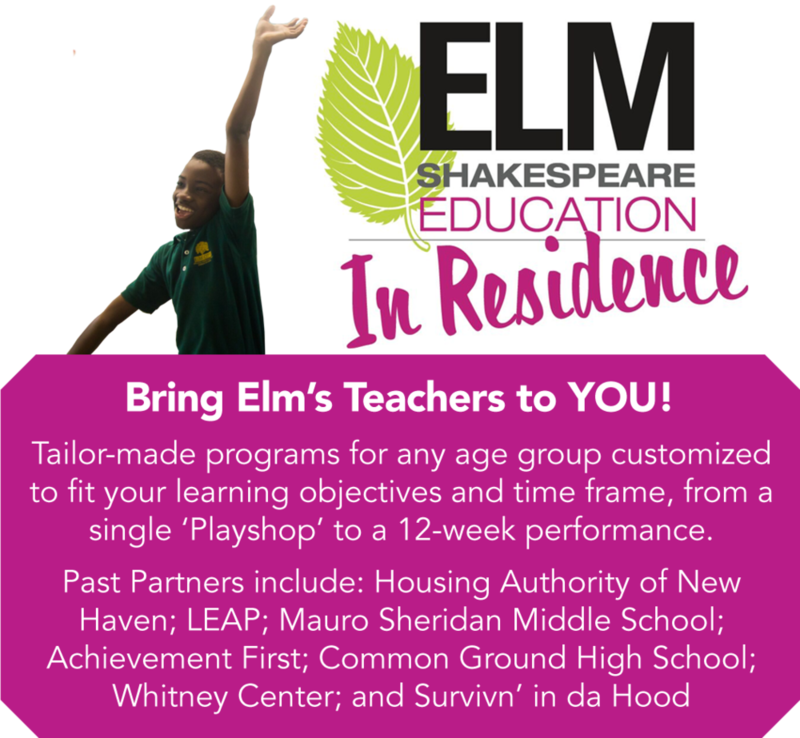 Elm Shakespeare Company offers a host of educational programs for all ages in the community and in schools. Come take a class, make a play, be inspired! Below are four of our Shakespeare programs for teens and young adults.